If you are anything like me, you have quite a few record albums sitting on your shelf. While I really love the way some of my favorite songs sound when they are played on my ancient record player, I don’t really love the way they look cluttering up my shelves. I spent some time searching the internet for a great storage solution but nothing really suited my style, so I decided to create my own. Think about how great these are going to look lining your shelves! For full instructions head on over to the newnew blog where I have posted full diagrams and a simple How-to. 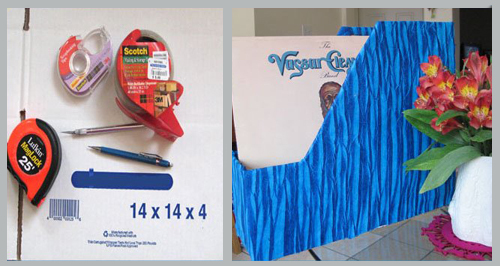 One Response to "MAKE OUR OWN record album storage files"
What a fabulous idea! I have so many records laying everywhere around my house!